Alec Katz is a sought after pianist, composer, and educator active in Israel. 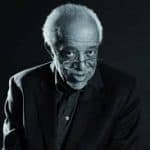 Among the musicians, he has performed and recorded with are Slide Hampton, Donald Harrison, Kevin Mahogany, Eric Alexander and Chuck Israels. Alec started playing piano at an early age and took classical piano and theory lessons. 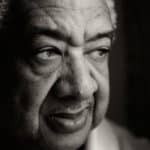 He was introduced to jazz by his uncle, an amateur jazz pianist, and enthusiast. Later he formed his first bands in high school and played gigs during his army service. Alec began playing professionally in the early ’90s while studying at The Jerusalem Academy Of Music. He became an in-demand piano player and performed with many local musicians doing club dates concerts and festivals. 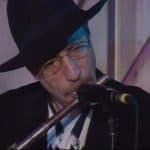 Alec Katz has often performed with visiting American jazz artists such as Arnie Lawrence, Walter Blanding, Abraham Burton, Eric Alexander, Donald Harrison, Renee Lee, and many others. In the late ’90s studied at The Royal Conservatory, The Hague (Holland). His mentors were great masters Frans Elsen and Barry Harris. 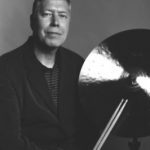 During the years in The Nederlands Alec has played and recorded with some of the finest European musicians such as Niels Tausk, Klemens Marktl, Benjamin Herman and John Engels. He graduated with honors from The Royal Conservatory with B.M. Degree in jazz piano performance. Upon his return to Israel, Alec Katz has formed his own trio and started a collaboration with the jazz vocalist Simona Arones. 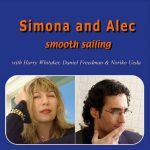 Alec and Simona have made numerous musical projects as well as recording with the legendary drummer Billy Hart and a few years later the recording in New York featuring great keyboard player Harry Whitaker and drummer Daniel Freedman. Alec continues performing at major music events and festivals such as Red Sea Jazz Festival, Tel Aviv Jazz Festival, Givatayim Theater, Tel Aviv Museum and Heichal Ha-Tarbut (Cultural Palace, Charles Bronfman Auditorium) and as a soloist with Jerusalem Symphony Orchestra. In the 2009-10 Alec Katz has invited a legendary jazz bassist and composer Chuck Israels for series of concerts and master classes. The highlights of this become a live trio recording with Chuck Israels at Milestone Jazz Club in Binyamina and a memorable Jazz Workshop at The Center For Jazz Studies, Israeli Conservatory in Tel Aviv. Besides performing, writing and producing Alec Katz also is a dedicated educator. He is teaching music for more than 20 years. 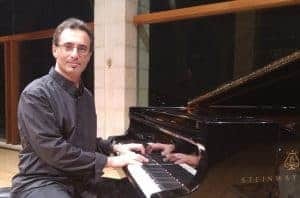 Alec is a jazz piano, harmony, improvisation and ensembles instructor at The Center For Jazz Studies, The Israeli Conservatory and at Rimon School of Music. Alec is one of the most sought piano players, very much appreciated for his great musicianship and knowledge of many different styles. Alec is the kind of a piano player that can make even an average player sound good, always aware of the requirement of the music from moment to moment.